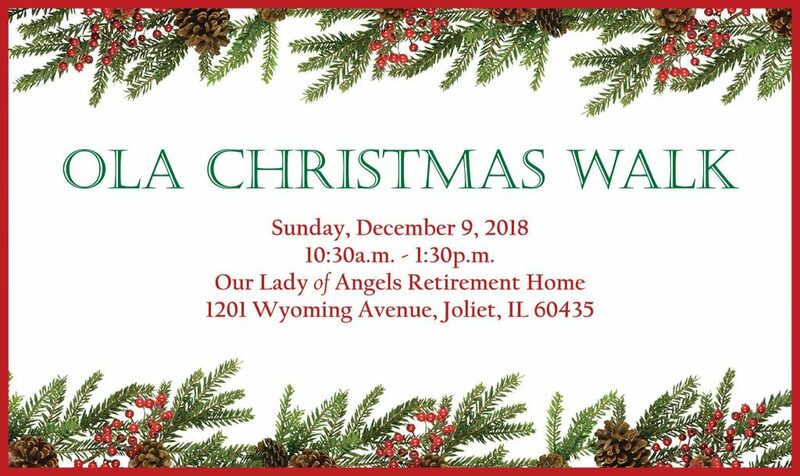 In the spirit of Christmas, the residents and staff at Our Lady of Angels cordially invite you to the OLA CHRISTMAS WALK. Walk through the halls of angels, bells, snowmen, wreaths, candy canes, snowflakes and more! Stop to admire OLA’s JOYful Memory Tree in our main lobby. With each donation to OLA this year, an ornament is dedicated in memory or in honor of a family, a loved one or a current/former resident. Enjoy the sights of the season and share some coffee, cookies and hot chocolate with family and friends. May the joy and blessings of Christmas remain in your heart throughout the year!